Donald Trump claims he should be president in part because he has succeeded at creating jobs and businesses. While the foundation of his business empire was in New York real estate and construction – thanks to “a million-dollar loan” from his father — he spent about 25 years owning and/or managing casinos in Atlantic City, which sought to rival Las Vegas as America’s gambling capital. These experiences, he argues, make him uniquely qualified for the Oval Office. He also claims he would create 25 million jobs over the next decade as president. This, in his mind, entitles him to speak for America’s working class. In the paper, I compare the performance of his three Atlantic City casinos — the Trump Taj Mahal, the Trump Plaza, and the Trump Marina — against that of their rivals over a 14-year period. Even if one does not ordinarily vote on the basis of evidence, I hope that the details presented in my paper help clarify a critical issue in this election. The Atlantic City boardwalk, in all its glory. The casino data presented and analyzed in my working paper are not like other anecdotes about Trump. His job-creating performance in other industries, such as construction, is much harder to compare with his peers. Like unsubstantiated claims about his personal wealth and taxes, we cannot assess Trump’s claims about job creation in other contexts because there is no available evidence about it. His casinos are different. New Jersey requires casino licensees to report extensive jobs and revenue data, which are readily available on the internet. The data are also audited, making them more reliable. As for why I focused on this time frame, 1997 was the peak year of employment for Atlantic City casinos, and it is also the first year for which New Jersey’s Casino Control Commission (CCC) posted casino jobs and revenue data on its website (revenue data start in 1999). I end in 2010 because that was the year Trump lost control of his casinos after the third of their four bankruptcies. I use data for all casinos in Atlantic City except The Sands and The Borgata, as they did not report data for all years in the study. 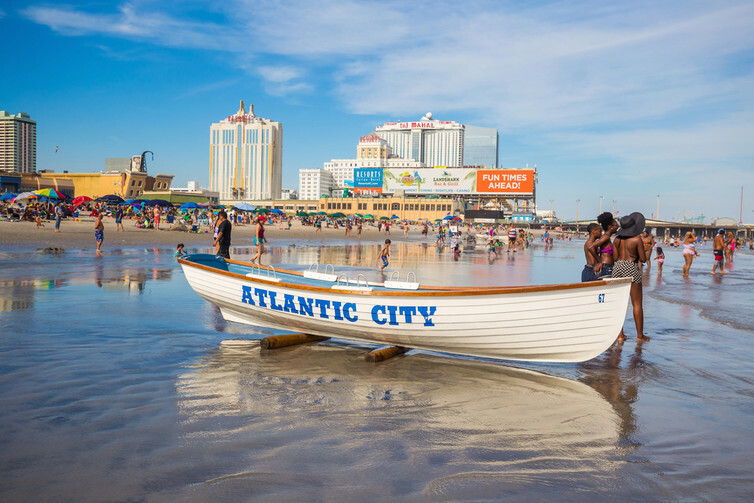 During this period, while Trump was the casinos’ chief executive officer, board chair and/or dominant shareholder, Atlantic City went from a booming resort to an eventual bust. All its casinos were hurt, but, on average, Trump’s suffered worst of all. Indeed, all three Trump casinos have closed or soon will. The average headcount at Trump’s Atlantic City casinos declined by 50 percent during the period, from 4,926 employees in 1997 to 2,463 in 2010, for a mean loss of 2,463 per location. The average non-Trump casino, by contrast, lost 35 percent of its employees, dropping from 4,468 to 2,921 for a loss of 1,547 jobs. In other words, Trump lost an average of about 900 more employees per casino than his competitors, a 37 percent difference. As for their financial performance, average revenues for Trump’s casinos fell 42 percent, from US$377 million in 1999 to $220 million in 2010. Revenue at the average non-Trump casino, by contrast, declined 27 percent in the same period, from $394 million to $286 million. While the entire Atlantic City casino industry suffered as neighboring states like Pennsylvania and Connecticut eased gambling laws, Trump’s performed significantly worse, as their revenue on average fell $50 million per casino more than his rivals’ – or a third more. These findings are statistically significant, meaning that the Trump casinos’ poor performance was not random. It had something specifically to do with how they were run. In particular, it means that if you worked at a Trump casino, you were nearly 40 percent more likely to lose your job than if you worked at one of the others. If that is what he did for his casinos’ employees, it is fair to ask whether he would do better for American workers as president. Trump supporters may object and point out that he did, indeed, create jobs, even if his casinos ultimately lost half of them under his watch. 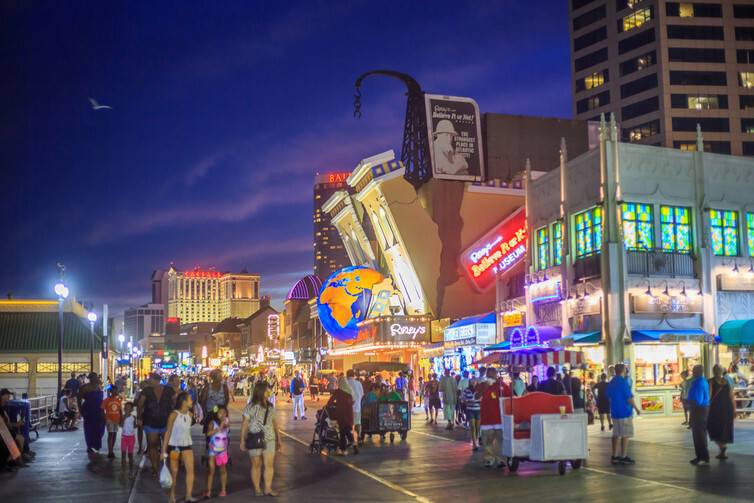 They could also emphasize that all Atlantic City casinos were in trouble, due to regional competition as well as two economic recessions in the period. The response to these objections is that this is about relative performance. In head-to-head competition – with the same businesses in the same place and time, facing the same challenges – Trump’s casinos performed worse, on average, than their peers at creating sustainable jobs. His casinos were not the “best” and not even “average” – they were the worst. Atlantic City was hit by Hurricane Sandy in 2012. These findings are important for three reasons. Based on securities and court filings, I found that from 2001 to 2005, he earned at least $16 million from the casinos, or $3.2 million per year. This included a base salary of $1.5 million per year as CEO and chairman of Trump Hotels and Casino Resorts until 2004, when the casinos commenced their second bankruptcy. Although he lost his position as CEO, he remained chair of the board and agreed to make promotional appearances for the casinos. For doing so, he got a raise – to $2 million. This means that, according to one report, Trump earned about six times the average base pay of U.S. casino executives. According to CCC data, it also means that Trump received about 120 times the $26,000/year employees at his casinos earned on average. 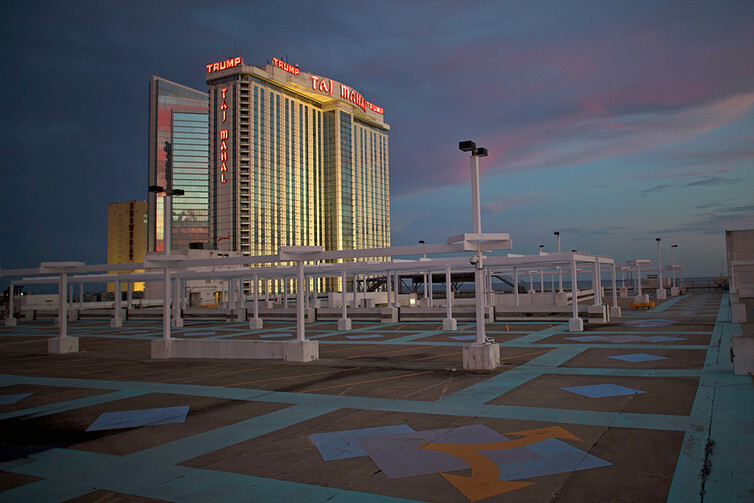 The Trump Taj Mahal Casino, scheduled to close in October, is seen from an empty rooftop parking lot at dusk in Atlantic City. Second, Trump did not get rich in Atlantic City because the casinos were profitable in this period. Instead, his wealth came in part from causing the casinos to borrow heavily and then slashing that debt in Chapter 11 bankruptcy. Trump has failed to acknowledge, however, that no major business in America has gone through bankruptcy as often as his casinos. According to the LoPucki-UCLA Bankruptcy Research Database, only a few large companies have used Chapter 11 more than twice. Among large businesses, only the Trump casinos went through the process four times (three while under his ownership or control). Trump has justified his casinos’ repeated use of bankruptcy as “an effective and commonly used practice … to restructure a business and ultimately save jobs.” While this is one reason Congress created Chapter 11, the evidence shows that Trump somehow twisted the process to benefit himself, even as the casinos continued to hemorrhage jobs and lose money. Third, Trump’s claims about job creation are unusually important. 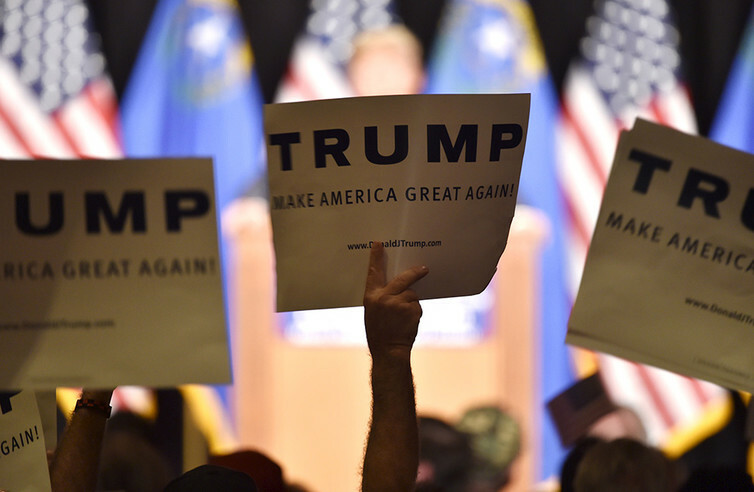 Presidential candidates often make improbable claims, and Trump is no exception. Voters may dismiss such claims as electoral exaggerations, and so neither expect them to be honored nor worry about their breach. Jobs are different. His promise to improve the plight of workers who have lost jobs to foreign competitors is both powerful and plausible. A recent Gallup Poll shows that members of both major political parties consider jobs and economic security two of the top three most important issues in the election. Trump has forcefully articulated a vital issue that “traditional” candidates from both parties have struggled to address. At the same time, Trump’s ability to solve the problem is, at face value, plausible. He has run many businesses and certainly could have “created” many jobs (I put to one side the difficult question whether any individual can take credit for “creating” jobs). Unlike building a border wall at Mexico’s expense, this might seem like something Trump could actually do as president. The data from the Casino Control Commission are a red flag, warning that he probably can’t – because he hasn’t. Those data show the performance of Trump and his competitors in a substantially similar line of business (gaming), in the same place (Atlantic City), in the same time period (1997-2010), subject to the same threats, and across dimensions (employment and business acumen) that have become central to Trump’s presidential campaign. On average, Trump was worse than all of them. Making America great has been Trump’s main slogan throughout the campaign. Over the course of the campaign, Trump has tapped into a deep sense of economic anxiety among American workers. Many believe he can be their champion because he created jobs in the past. Usually, claims like that cannot be assessed, and are dismissed as campaign puffery. Here, however, we have hard data by which to judge the very track record on which Trump says he can “Make America Great Again.” Contrary to Trump’s claims, my study of that data indicates that he is more likely to make America worse.